We develop for results through deep assessment, coaching and training solutions. Our commitment to providing solid ROI means CMP uses customized, measurable solutions to build the talent necessary to execute your strategy. Our Talent Development Solutions Team assesses the current state of your organizational teams and identifies opportunities to improve employee retention and engagement. Realize deep awareness and targeted development through assessment. The key to development is deeper insight into each employee’s capability and their gaps/risks; and meaningful development activities. 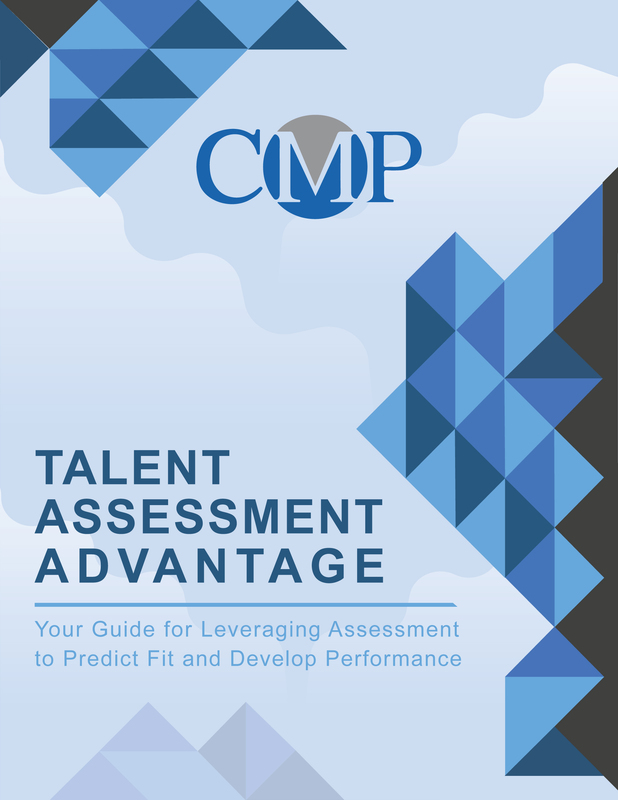 CMP selects from an extensive library of self-insight and validated assessments to provide each participant with a powerful development experience. Achieve measurable and sustainable change through CMP executive coaching. CMP's coaching methodology is relationship-enabled, assessment driven and outcome-focused. It combines a clinical and process-oriented approach to behavior transformation with the experience that comes from decades of leadership coaching. Develop people and capability that fits your strategy and culture. CMP leverages an extensive content and training library to provide teams and organizations with high impact solutions. Understanding the critical role of talent, an increasing number of companies are using psychometric assessment to support key aspects of their talent lifecycle – from increasing their ability to hire and onboard the right talent, to enhancing their ability to identify high-potentials and develop leaders across the company. Effective use of validated assessment provides companies with a competitive talent advantage. Really appreciate the discussion, it was significant insight for me to inform my decisions re succession planning going forward. Thanks so much.